Council scared of facing the truth. 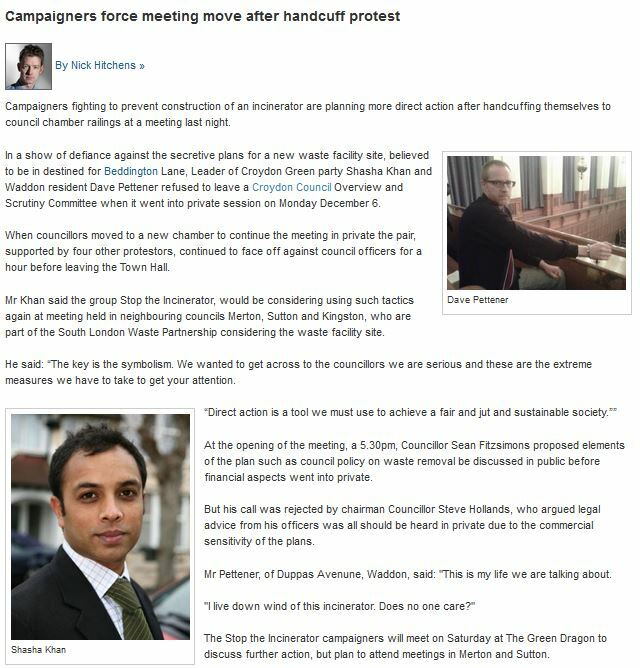 We planned a demo for Sutton’s Planning Committee to mark the anniversary of their decision to build a waste incinerator. Here are some of the people the council were too frightened to listen to. 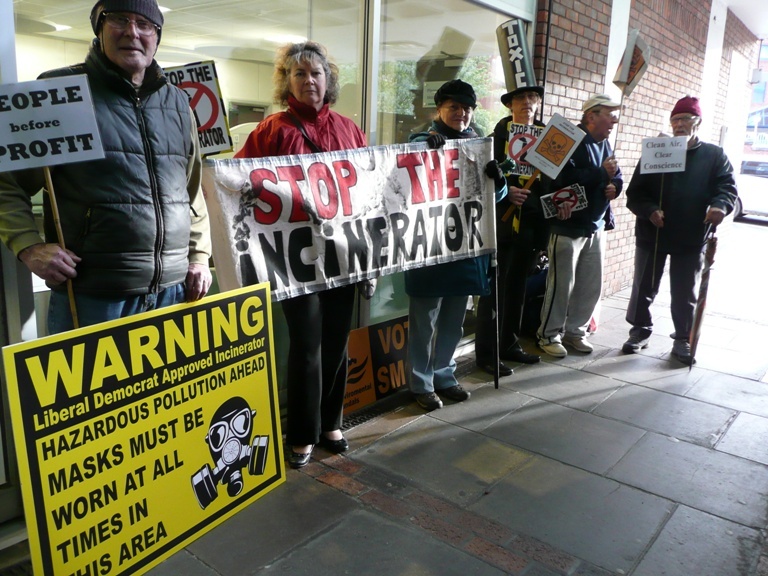 Across the years, Stop the Incinerator have tried various things to get our message across. Some have been more successful than others. 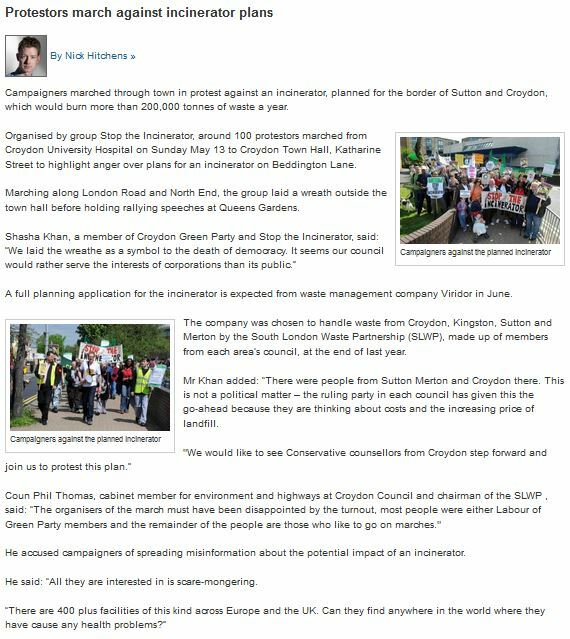 Whilst this attempt failed to prevent a council meeting from being held behind closed doors, our march through Croydon was much more successful in raising awareness. If you wish to see more we have a number of videos and photos recording our exploits.